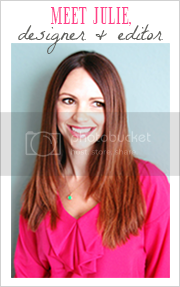 Summer is winding down and for many, it's time to start gearing up for "back to school" days. Don't know about you, but I'm not ready for summer to end! I have a couple clients that have asked me to create inspiring and organized "work / play" spaces for their children for the upcoming school year. 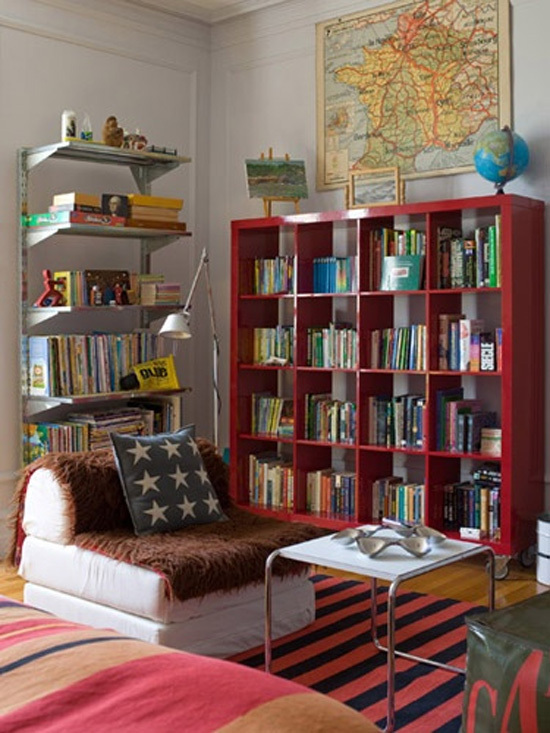 Kid's rooms are always so much fun to design. I've rounded up several fantastic snapshots for inspiration - there are so many things from each space that have the wheels turning in my head. My 15-month old son also needs his own little play area in our living room, so I'm looking out for ideas for that as well. 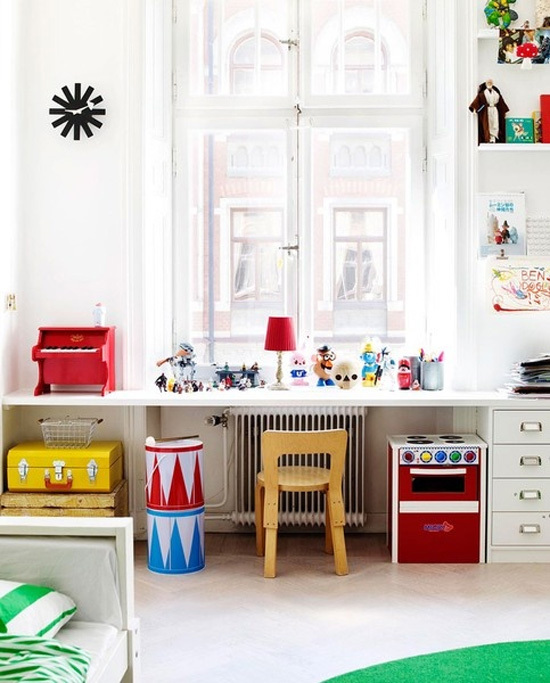 What sort of space do your kids enjoy doing homework / crafts / playing? 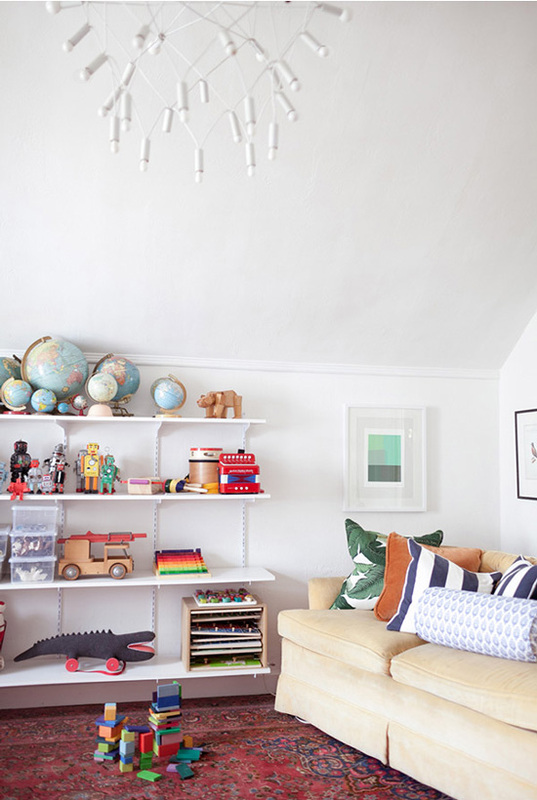 The playroom with the beams and the hot air balloons hanging is SUPER cute! Adorable ideas! 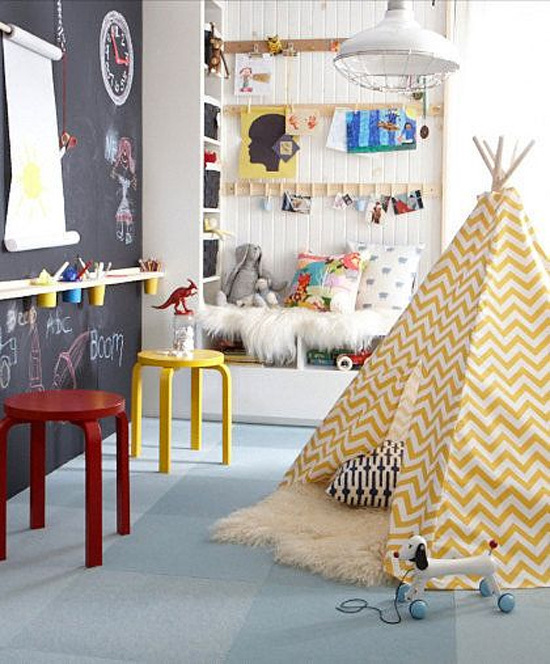 Especially love the teepee and the metal pails to store crayons. 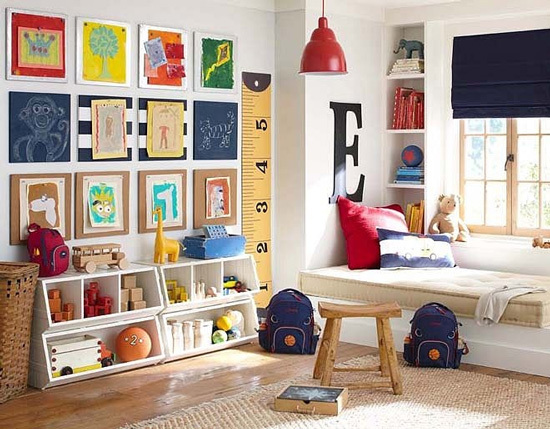 I just got done redecorating my daughter's playroom and I wish I had as much space as some of these examples shown. I was still able to find some cute children playroom ideas to maximize the small space and my daughter is elated with her new room. 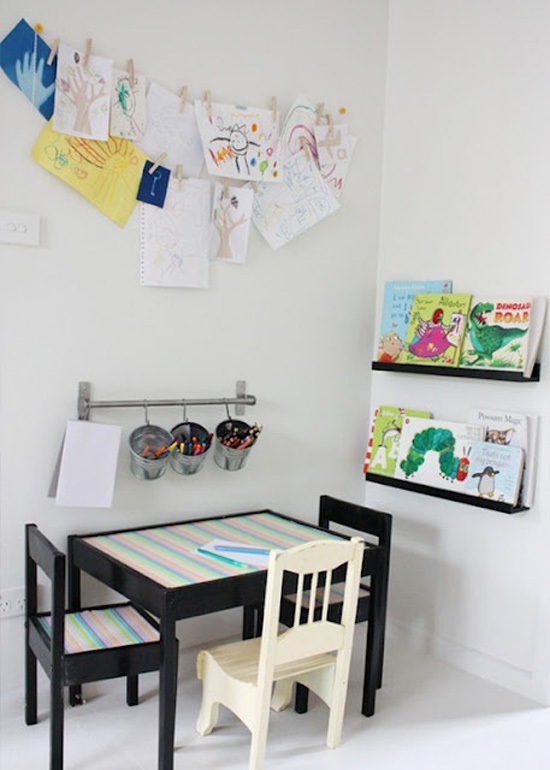 So much more goes into creating the perfect playroom than I ever realized!